I am not independently crafty. I don’t sew, I’d rather buy something new than try to fix it myself — the American lifestyle to which the media most appeals. I discovered Martha Stewart by accident. In my bride-that-has-to-know-everything-about-weddings phase I purchased every bridal magazine, perused all the wedding websites: I was prepared to have the ultimate wedding. 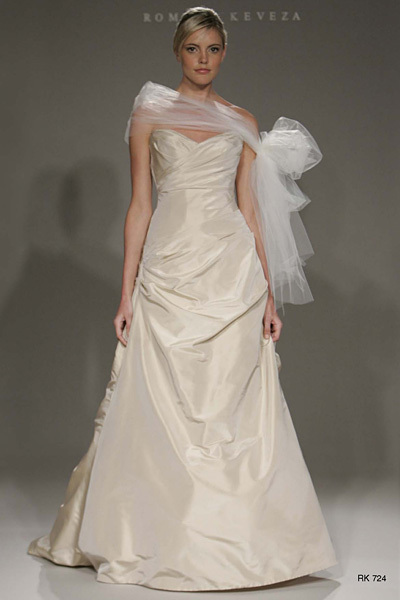 My aunt sent me a bridal dress link featured in Martha Stewart Weddings. I wasn’t even contemplating my dress yet…hello…we’re just talking about venues, people! But I ventured a look. The Romona Keveza number looked sickly on the food-deprived model. Hey Romona, don’t you feed your brides? We ended up going to Macy’s Bridal Salon to look at the dress the next Friday night – and I fell in love with the strapless version of the same dress. We bought it on the spot. Thus my relationship with Martha started. I became a subscriber to Martha Stewart Living and Everyday Food. I joined her email list. And I became increasingly obsessed. Recipes began hoarding into file folders, I was clicking through holiday craft projects and exploring domestic areas way beyond my comfort level (aka gardening). Martha had spawned me into a better, more capable version of myself. (Self-instructed eye roll). 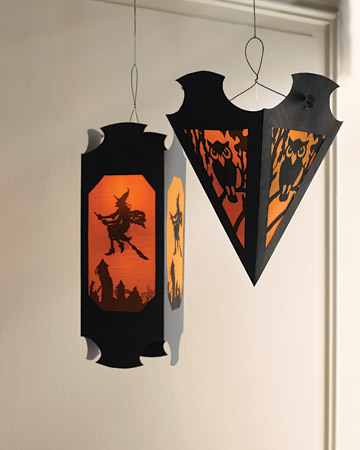 Halloween Lanterns: Probably not a good starter craft. I made 5 of these for our huge office Halloween she-bang. They turned out great – but it took forever to complete — and with the help of 3 co-workers. Last Night’s Endeavor: Salami and broccoli Stromboli. I have been fairly adventuresome in the kitchen the past couple of weeks – and this was last night’s experiment. It was very tasty – except Martha and I got into a little tiff. If you don’t already know this – I will tell you that placing pizza dough directly on aluminum foil while baking is a very bad idea. The dough adheres itself to the foil – making it impossible to remove. Enter tongs, spatula, husband, cussing – result: messy Stromboli. Newest endeavor: Chic Strands. This necklace project (which normally would retail for $90-140) is just repurposing old vintage earring and brooches into a couture piece. No pictures are available on her site – but I will post when it’s available. Or…post my own edition.